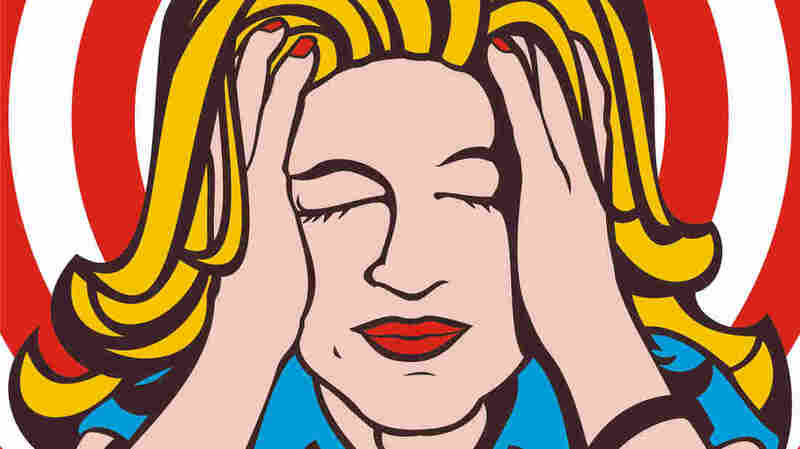 For Middle-Aged Women, Stress May Raise Alzheimer's Risk : Shots - Health News Stressful events in midlife, like the death of a spouse or loss of a job, increased the risk of dementia for women in old age, according to a Swedish study. The researchers couldn't say whether some women's habits, such as regular exercise, lowered the risk from stress. Like most middle-aged women, I am stressed out. The work, the family, the aging parents — all things that jolt me awake at 3 a.m. Does this mean I'm setting myself up for Alzheimer's in old age? Well, maybe. Researchers in Sweden say that women who reported stress in midlife from experiences like divorce or a family member's illness were more likely to have dementia or Alzheimer's disease in old age. The study used data gathered from 800 women ages 38 to 54 starting in 1968, then tracking their health over 37 years. Over the years, 425 of the women died and 153 developed dementia. The women were asked about a range of psychosocial stresses, including divorce, widowhood and serious problems with children such as illness or death. The researchers also got information about loss of work, mental illness or alcohol abuse in a spouse or close relative, and illness or social problems related to a husband. The women who reported stress in 1968 were 20 percent more likely to be diagnosed with Alzheimer's or other forms of dementia later on. The results were reported online in the journal BMJ Open. Distress also played a role, the researchers found. In follow-up interviews over the years, the women were asked if they'd experienced anxiety, nervousness, sleep problems, irritability or other signs of distress. The women who reported being distressed over several decades also had a higher risk of Alzheimer's in old age. To be sure, a longitudinal study like this one can't prove that the stresses caused disease later in life. It just suggests an association, one that would need to be confirmed by other studies. Mild social stress is common and hasn't been linked to long-term health problems. But other research has found that severe psychological stressors, like being in a war or a natural disaster, can affect health decades later. That may be because chronic stress boosts levels of hormones like cortisol, contributing to the risk of heart disease, depression and memory problems, among other ills. So, how much stress does it take to get Alzheimer's? "I really can't say," says Lena Johansson, a postdoctoral researcher in the Institute of Neuroscience and Physiology at Gothenberg University in Sweden, who led the study. There are good reasons for that equivocation, Johansson tells Shots, many of them having to do with the questions that the original study did or didn't ask. Some of the stressors the women reported are severe and others are relatively trivial; this study gave them equal weight. Some obvious ones, like physical abuse and illness for the women themselves, weren't included in the data. And the women weren't asked to rate the impact of the stressful events in their lives. The original study also didn't ask women if they used psychotherapy, exercise or other methods to counteract stress, so the present-day researchers couldn't probe how that would affect Alzheimer's risk. "It's really an important question for the future," Johansson says. And what about the stress in her own life? Johansson is 41, totally in the right demographic for her study. "I try to take it easier," she says. "I know [stress] is dangerous for the brain. But it's one thing to know and another thing to really handle it. It's difficult for us all to change."